Guy rolls down the window, and with the most serious face and tone imaginable, he asks "Hey, Do they sell those things with doors?" I was ever so confused. Has this man never seen a Jeep with doors? 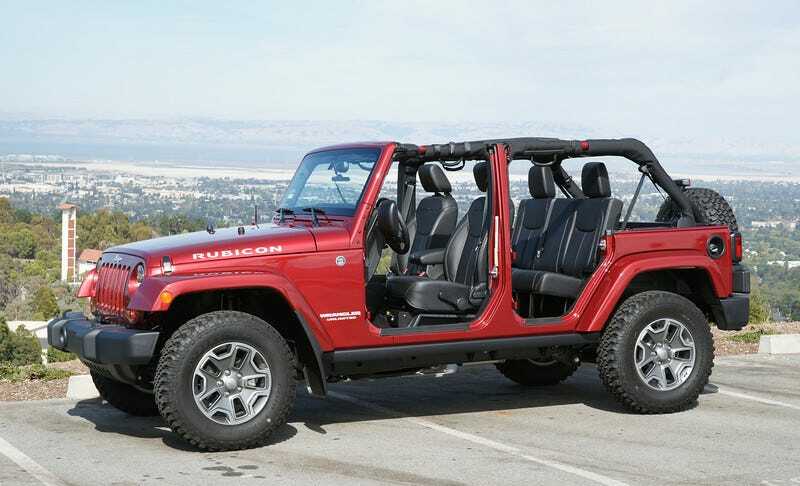 or maybe a Jeep without? Was this man the worlds best poker face maker? Why does he have such tiny tiny tires? Did I remember to put pants on today? I just laughed and hoped the light would turn green soon, but I wonder, is this man still out there wondering if Jeeps do, in fact, come with doors. Whats the funniest question you've been asked at a red light?? ?